Mr Cheetham is the founder of the Company. He is a mining geologist with 37 years experience in mineral exploration and 32 years in public company management. Mr Cheetham started his career as an exploration geologist in Australia with Western Mining Corporation and prior to that worked for Imperial Metals Corporation in British Columbia, Canada. From 1986 to 1993 he was joint managing director of Dragon Mining NL, during which time he was responsible for the formation of that company, the identification of and acquisition of its exploration projects, its listing on the Australian Stock Exchange and the subsequent development of its exploration projects. Patrick co-founded Archaean Gold N.L. in 1993 - the subject of a successful $50 million takeover bid by Lachlan Resources NL. He is currently also Chairman of Tertiary Minerals plc. Mr Swan is a Chartered Accountant with a career focus in the natural resource industries. He joined Arthur Andersen after graduating in 1977, and from 1991-1996 acted as Chief Financial Officer or Finance Director for a number of ASX listed mining companies. He returned to the accounting profession in 1996 as Group Leader of the Mining and Resource Group at Ernst & Young in Sydney. After relocating to the UK in 2001 he continued his involvement in the natural resources industry including the position as Chief Financial Officer of Oriel Resources plc undertaking the IPO, TSX listing and reverse take-over of a major smelting business, until its eventual sale to Mechel Group for $1.4bn. 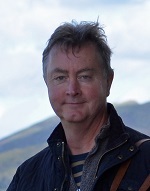 Mr. Murphy joined as non-executive director in May 2016. Former MD, Investment Banking, of Dundee Securities Europe Ltd. which he joined in 2012 to establish the London office with an emphasis on capital raising for mining and oil & gas companies. Previous positions include former CEO of African Battery Metals Plc, MD Renaissance Capital, successfully raising capital for a variety of companies, and Head of Sales for Canaccord Adams where he was also a member of its UK Executive Committee. Earlier in his career in the finance industry he worked in mining sales for Deutsche Bank, as a mining analyst for both Deutsche Bank and SG Warburg and as a researcher for the World Gold Council. Mr. Murphy holds a B.Sc. Hons in Geology, a M.Sc. in Hydrogeology and an MBA. Prior to joining the mining finance industry he worked as a geologist for a number of years for various companies, including Anglovaal Mining and British Petroleum. Colin Fitch is a Barrister-at-Law, and was previously Corporate Finance Director of Kleinwort Benson, Partner and Head of Corporate Finance at Rowe & Pitman (SG Warburg Securities) and Assistant Secretary at the London Stock Exchange. He has also held a number of non-executive directorships of public and private companies, including Merrydown Plc, African Lakes and Manders plc. Since retiring from full time work he is currently non-executive director of African Lakes and was until recently Company Secretary of both Ridge Mining plc and Cluff Gold. He is currently also Company Secretary for Tertiary Minerals plc. 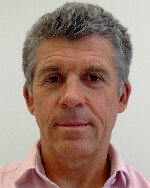 Richard is Managing Director of Tertiary Minerals plc. Chartered Engineer with more than 20 years of mine/quarry development and management experience. A graduate of the Royal School of Mines in London. A Chartered Certified Accountant with extensive experience gained across a variety of organisations, Jill is responsible for all aspects of financial administration, including treasury, ledger control, management accounts, annual audited accounts, taxes and statutory financial reporting. Judith has been with the company since inception. She has over 35 years management and supervisory experience and is responsible for regulatory and compliance issues, routine company secretarial activity and the day-to-day running of the head office IT and administrative functions. Joel is responsible for all aspects of 3D modelling, mapping, technical reporting and digital data management. Jae assists with many day-to-day business administration activities, including updating the Company’s website, social media and data analysis.